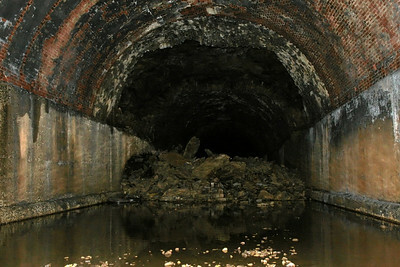 Construction of this 3002-foot tunnel began in 1854 and was completed in 1862. It served the Warren Railroad, leased and operated as part of the Delaware, Lackawanna & Western Railroad mainline across New Jersey. 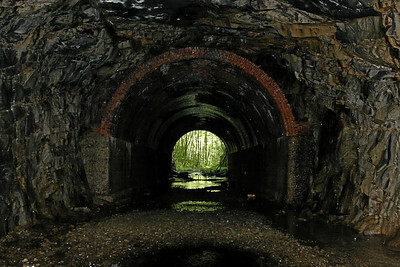 Prior to opening the tunnel, the DL&W used a temporary right-of-way up and over the gap from 1856 to 1862. 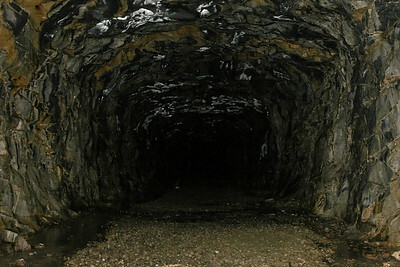 Originally single-track, the tunnel was upgraded to double-track in 1869 to support increased train volume. Later, to maximize clearance for expanded train heights while still avoiding switches, the tunnel was converted to gauntlet track in 1901. The tunnel was later returned to single track (with spring switches and automated semaphores at each end) in 1934. Signaling proved problematic, however, so finally the entire line between Manunka Chunk and Washington was single-tracked in the 1940s. When constructed, nearly one-half of the tunnel was timbered and arched with stone masonry while the rest was bare rock. Concrete lining was added to 386 feet in 1906-07. 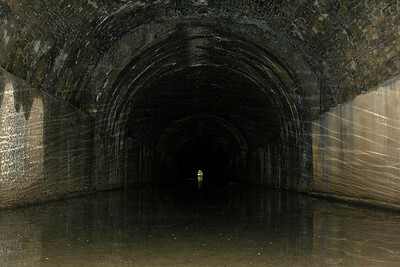 The tunnel once had manually operated doors (with watchmen towers) at both ends to prevent ice. Due to operational difficulties, however, the doors were removed around 1914. The Lackawanna Cut-Off opened in 1911, significantly reducing freight and passenger service on the DL&W's "Old Main." Passenger service to Oxford ended in 1948 while freight service continued through 1968. The line was officially abandoned from Washington to Delaware, New Jersey, on April 21, 1970. 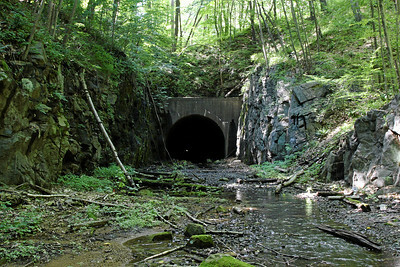 Tracks were removed in 1974, and today a stream runs through the tunnel from west (Oxford) to east (Washington). A collapse in the center circa 2005 has resulted in two feet deep water at the western end, while the eastern end remains relatively dry.